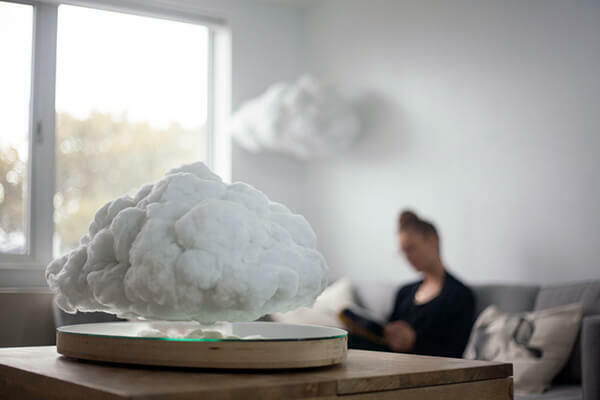 Collaboration with levitation specialists Crealev, designer Richard Clarkson created bring us an usual Bluetooth speaker “Making Weather” which disguised itself as a floating storm cloud. 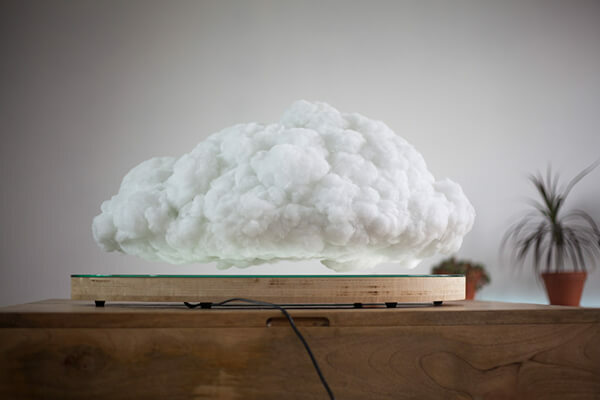 The speaker is made of white, hand-fluffed polyester fibers, which means there is no two exactly same speakers on the world. 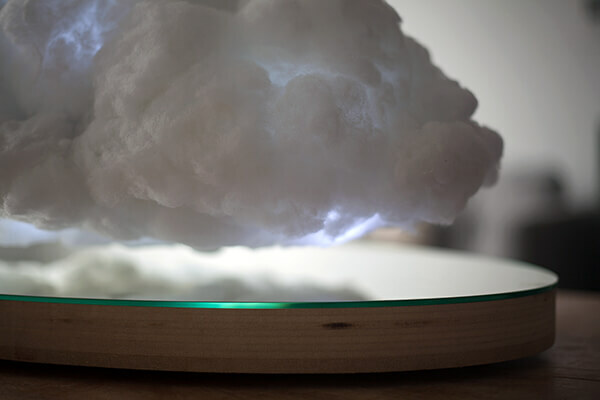 The magnetic components embedded into both the base and the cloud allow the cloud to float 1-2 inches off the base. 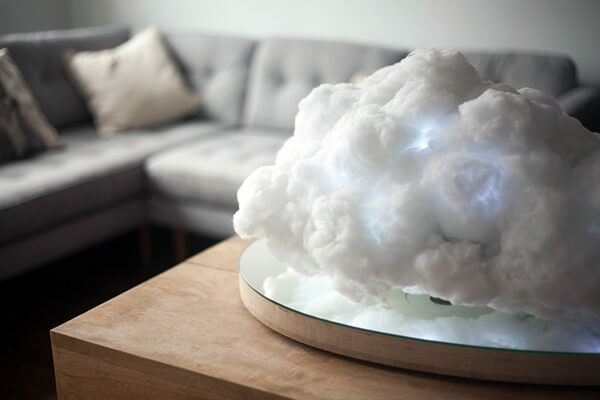 With full rotational movement and slight vertical bobbing, you might get the illusion that a mini cloud is actually hovering in your room. 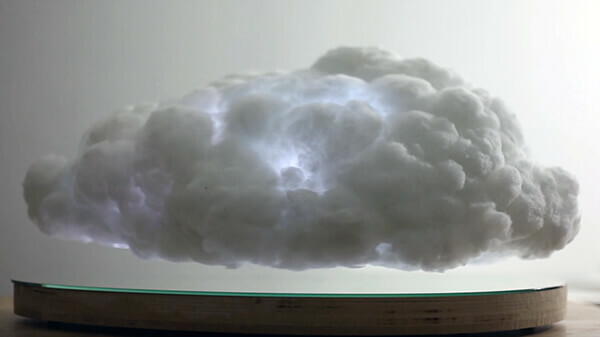 Moreover, there is a sound reactive LED device inside the cloud, just like lightening. If you are one of people who like to enjoy music during raining day, you can create such feeling by dimming out your room and turn on the speaker. However, the speaker is still in prototyping stage, there is no defined date indicates when it will be available as a commercial product.